Welcome Customers! To the J.P.B. Fire Services Family!! J.P.B. 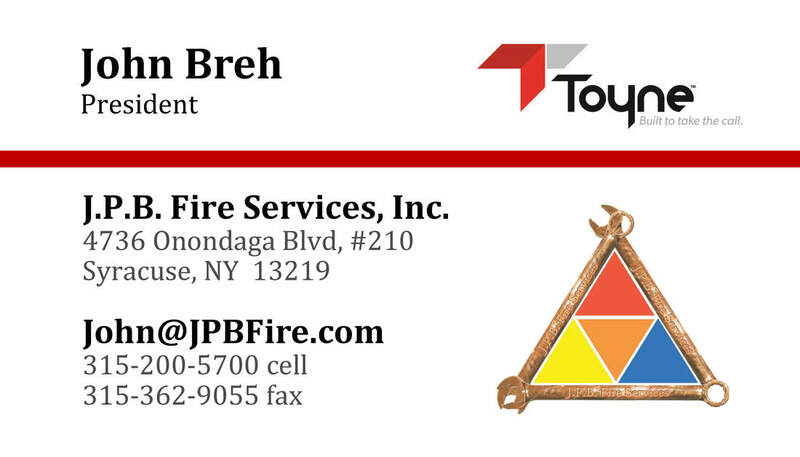 Fire Services, Inc. pledges to provide the Fire and Emergency Vehicle Service Companies of Central New York with the fastest and highest quality vehicle and apparatus service available. We strive to achieve this by consistently exceeding our customer’s expectations in all areas of vehicle & equipment repair & maintenance. We will provide service plans that are personalized and tailored specifically to meet the needs of each individual customer. We plan to surpass our goals by employing only the most knowledgeable and competent service technicians. Through continuing education we expand our technical expertise to provide our customers with the highest quality workmanship, ensuring that each service event is done right, the first time, with minimal impact to our customer’s ability to provide their community with reliable emergency services. 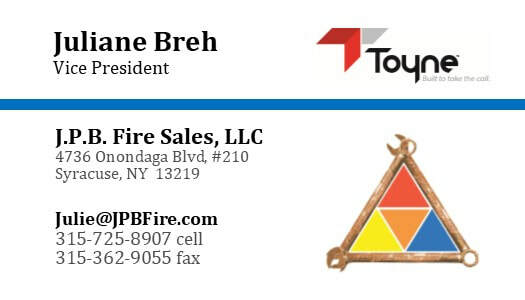 We are a Fire Sales and Services company with a team that is proud to do what is right for our customers and their community. Emergency Down Service is available 24 hours a day, 7 days a week. Normal Shop Hours are 7:30am-6pm, Monday - Friday. Please call before stopping by, as we may be out serving our customers.